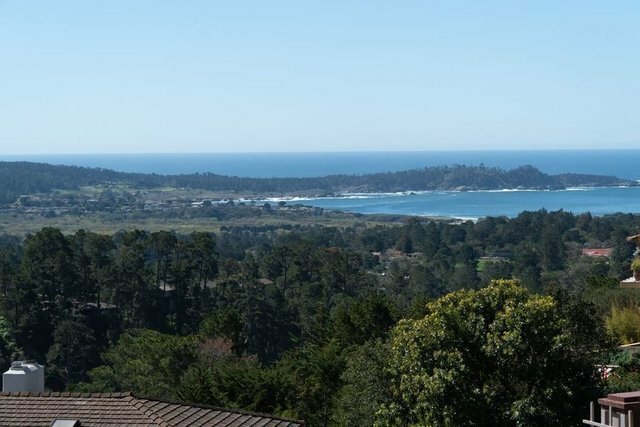 An immaculate home, pool and oversized 1200+sf guest house all with spectacular views of Carmel Bay, Pt Lobos, the hills of Carmel Valley and beyond make this compound an amazing offering of essentially two homes on one spacious lot. main house is turn-key and features 4 beds,3 baths, including nice master suite with large walk in closet. Expansive south-facing deck overlooking the view and the pool area below is perfect for outdoor living. Guest house is like a second full house with 1 bedroom, 1 1/2 baths, spacious and light living room with fireplace, laundry, kitchen and decks all oriented to the view. Property sits high in the sun belt yet minutes to all amenities.